Mid-term school holiday is here! It's time for Rishie to relax and play with sister Ashika more. And I can enjoy being home rather than sunny, head-cracking outdoor! We spend most of our time with PS3...phew. Waiting for dear Hubby to return soon! Both my kids are chocoholics just like their Papa! When Rishie requested for a chocolate cake, I just thought of this recipe which is truly moisty, chocolatey and delicious. I find the sweetness was just right as we had the cake topped with choc ganache and Cadbury chocs. Luckily I had 2 little assistants who readily helped me to arrange the choc pieces. Ashika was really excited helping me out. She just likes to imitate whatever I do in the kitchen. Thus, I had to keep my knives and sharp tools way higher! Btw, she fell asleep while waiting for me to finish with the photoshoot, but nothing went right when I shot these pics. I completely screwed up with the settings and lighting...haha! Enough said, here's the recipe to the sinfully delicious Moist Chocolate Cake. The cake is done when a skewer or toothpick inserted comes out clean. Cool on a wire rack. Add chocolate ganache or top with strawberries. Using double-boiler method, melt dark cocoa together with condensed milk and butter. Cool before spreading on the cake. 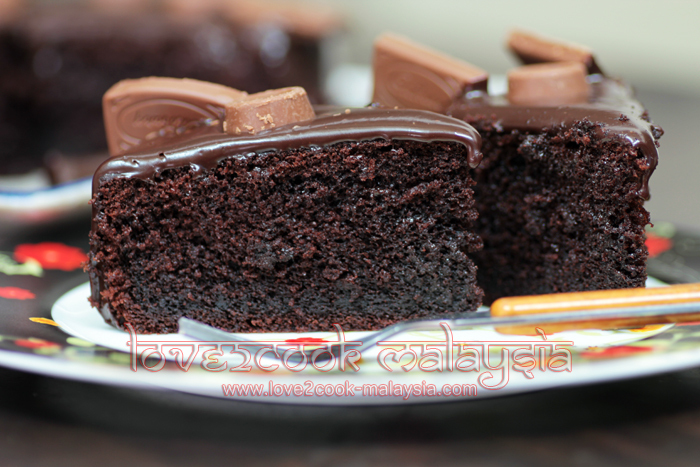 Check out my earlier Moist Chocolate Cake using different recipe HERE! sis love....heheh..just call me cikwan ;))segan plak u panggil i kak..lg pun i bujang lagi..
takpe.. ;)) tak kenal maka tak cinta..kan kan. I just bought Saji Magazine. So sweet of you and your family. Oh my my..cake looks so so good. Superb!!! Omg, cant take my eyes from ur super moist chocolate cake sis, well done. hai love..u n ur kids must be enjoying the cuti so much...makn-tgk tv-mkan same like me lah! Singgah sini jer terus terliur sgt tengok cake coklat u dear..Memang namapk sangat moist,yummy..Uuuwaaa terliur sudah..
Suka tgk muka ashika cute sgt..
wohhooooo... drooling again here...!!! 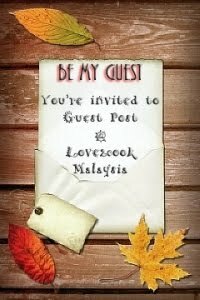 mesti sedap tu.. tqs for sharing love..
Wow that is super moist.....very tempting. 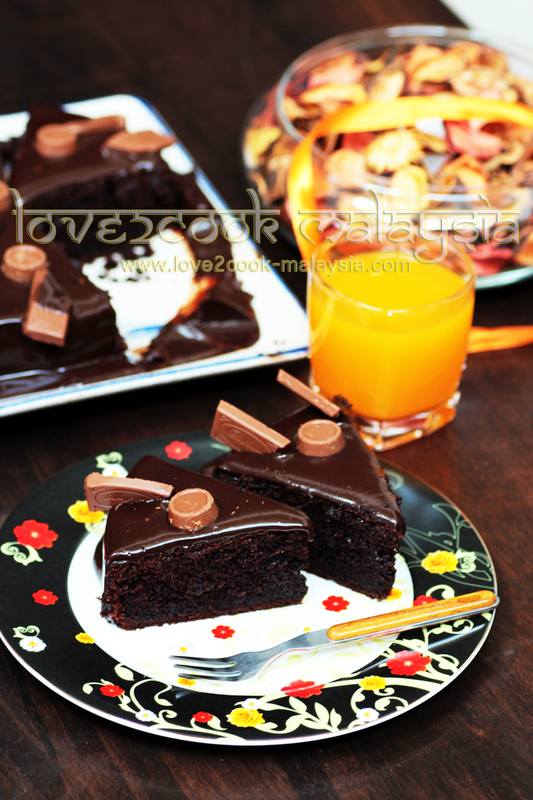 Hi Love, oh my... this is really to die for moist chocolate cake. yum yum....wish I can have 1 slice now. Love the ganache topping. Hi Love.....as always, everything seems so perfect, the decoration, the topping and the pic tells the truth, so tempting dear! 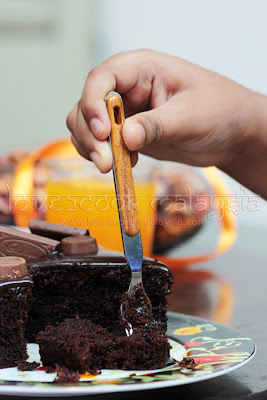 Love,tak boleh tahan la kalau hari2 tengok kek choc moist kat sini..macam nak pengsan pun ada...nampak mengkilat je ganache tu..
OMMGGGGGG LUVV DEAR!! xtahan akak tgk..baik lariiiiiiiiiiikk!! Wow..cake looks so moist and delicious..beautiful clicks! Wow.. the cake sure looks very rich and moist ! Should be tasting good !! wow the cake look sinful moist!!! uwaaaaaaa!!!!!!!!!!!!! love! kek tu mmg nmpk moist betul! nak 1 slice! Hai love...terlambat sudahhh...singgah sini,mesti dah habis d makan dek putra n putri you kan.Kek yg menjadi pujaan ramai...like..like. Wow its seem to be very delicious. .....very tempting.Need to try ur recipe. Another lovely recipe from uuuuu..Cake looks super soft and moist. it has been a while since I visited you.. caught up with my busy life :) this is a superb treat to gawlk at, on my return... wow! you simply rocks, love! Beautiful cake dear, looks so inviting. Your chocolate cake look so moist and good. 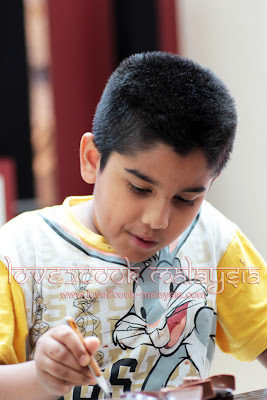 Have fun with your kids during this school holiday. Oof! the cake looks so moist and luscious. Beautiful presentation too! Thanks for sharing. Tried it yesterday, turned out great! the cake looks great!! !x sabar nk try =)...can i know, will this cake be fine even after a week been refrigerated? hello! i tried your chocolate moist cake with chocolate ganache recipe today and it turned out beautifully. Thank u.
does this recipe work in cupcake size? will the temp or time vary? Hi Alia...you may bake this cake in cuppies. Bake for 20 minutes or so...with same oven temp. how many cupcakes does this recipe yields? Hi Alia, I'm not very sure on that as I never made them into cuppies. Also depend on the cup sizes. Looks wonderful! If i refrigerate it for keeping a day or two won't it dry out? Hello Anon, you may cool the ganache in room temp or even by refrigerating for 10mins. I'd sometimes just pour it over the cake while it's still warm provided the ganache is thick enough. Mouth watering recipe for Moist Chocolate Cake. urhg!super delicious.im salivating even now. Can i used any other milk aside Ideal?for example dairy milk? what brand of cocoa bars did u use? Hi Anon, I used Lindt 70% cocoa bars. Hi, do you think it will taste good with buttercream frosting? I'm going to try make cupcakes. Hi Renu, thanks for trying! So happy everyone liked it... :) Happy New Year! Can I mix cocoa powder with this recipe if I don't have enough chocolate? Hello Anon, are you referring to the chocolate ganache? You can use cocoa powder or choc chips too. I came across your blog & now have been a fan of your recipes! I tried this chocolate cake for New Year's & it was an instant hit with my family! Thank you dear for sharing..
A very Happy New Year to you & your family! Hello again, you can choose Name/Url to enter your name, url is optional. Don't click on Anonymous. Hi there! Hoping you can reply me this asap. I live in Malaysia also, from KL. I can't seem to find baking soda anywhere!!! Where do you get yours?! Hi Anna, you may find baking soda at any bakery supply shops or even at hypermarkets. I bought mine at Bagus, bakery supply shop. Hope you'll find it! Hi love I made ths lovely cake of urs it was really delicious.... believe it or not my family. Finished it in a day..
Trust me when I say I dont like Chocolate, but this Cake is really making me drool and crave for a bite. you are so good at cakes, have bookmarked so many recipes of yours.. I am drooling over this chocolate cake! yummm yummm yumm. Tried this superlicious & yummylicious chocolate cake. Turned out perfectly & so moist. My family loves it so much especially my boys. This would be my most favourite chocolate cake. Thanks for sharing the recipe. 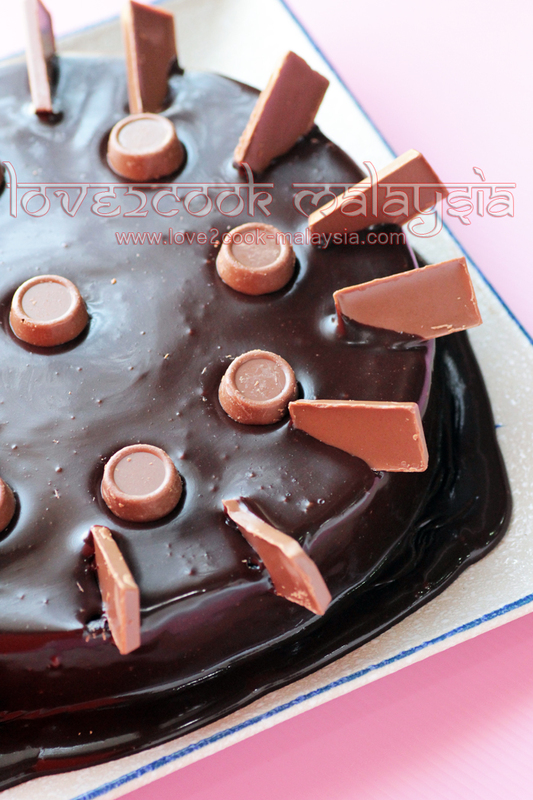 Tried baking this superlicious & yummylicious chocolate cake & it turned out perfectly, so moist. Love it so much especially my boys. This would be our favourite chocolate cake. Thanks for sharing the recipe. Thanks Priya..so glad you liked it. Thanks for sharing the recipe. I appreciate. Oh Tasha...so sorry to hear that! How was the cake? Thanks Thanusha :) Appreciate your feedback. Thank you for the recipe. Never had much luck with moist choc cake b4. Love love love this recipe. Ty again. Thank you Adi Didi...so glad it turned out well. Made this last night and it was FABULOUS! Hi, May I ask if I can use cupcake cup instead of the cake mould? If so, how long is the baking time? Thanks in advance. Hi....if i double or tripple the measurements. ..do I still bake it for 45 mins or longer..? Hi...if I double or tripple the measurements. ..do I still bake it for 45 mins or longer? Hi.. Ur cake looks delicious... Can u pls tell me the difference between the evaporated milk used in cake and the condensed milk used in ganache?